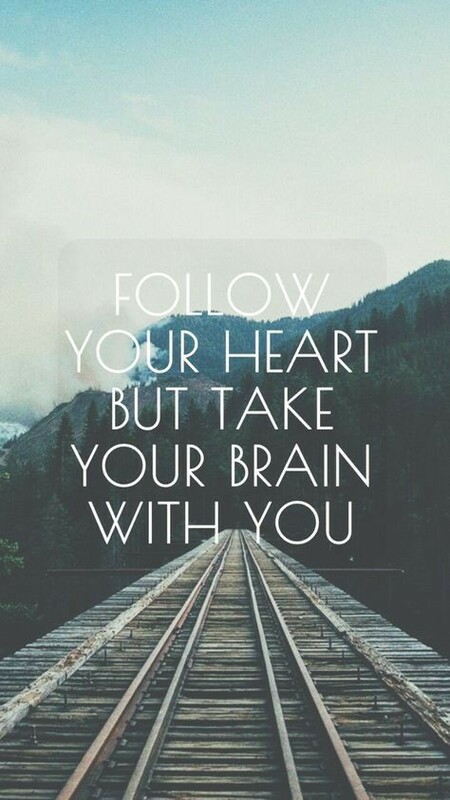 Take Your Brain With You. Every day is an adventure. We are faced with literally thousands of decisions during each trip around the sun. The toughest part of making most decisions is going with our heart, while using our brain. Often it’s not necessarily the morality of a choice, but rather the practicality of a decision that can weigh heaviest on us. Yes, you may LOVE how that new handbag would look with your new shoes or eating double quarter pounders, but are either really the best way to enhance your life? Less than three sips into my first glass of New Years Eve wine, I knocked over the entire cup in a fit of excitement to show my “good” coat to a friend. The wine flowed right on over to the corner of a jacket laying on the table. It was NOT my coat. AAAHHHH! I quickly wiped the coat off and dried up the table. Then the worry set in. I HAD to find the owner of the coat. What if it was their “good” coat? What if they yelled at me? I asked everyone I saw if the coat was thiers, but had no luck locating its owner. I was just about to trudge the walk of shame to the front of the dance and kindly ask the amazing band singer if I could borrow his microphone. I needed to find the owner of that coat. As I went back to grab the coat, the cutest, little brunette was getting something from the purse next to THE COAT.